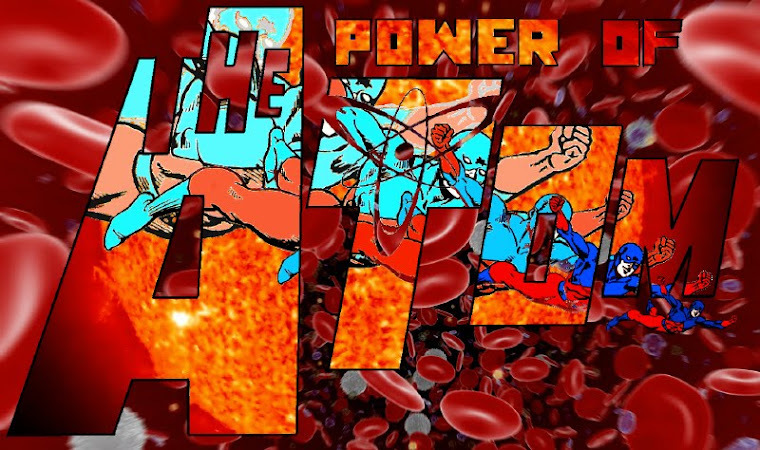 The remaining WildCats talked about triple-teaming Captain Atom, but ended up falling by numbers. Since I stopped reading Wildcats comics in 1998, I was unaware Voodoo had all of Jean Grey's old powers. Get this-- Captain Atom overloaded her telepathy by "giving" her all of his memories at once and overloading her brain. How does that even work? That makes about as much sense as a magnet to a juggalo. Next, we all try to pretend Warblade is more keen than Wolverine with blades can could literally slice atoms. 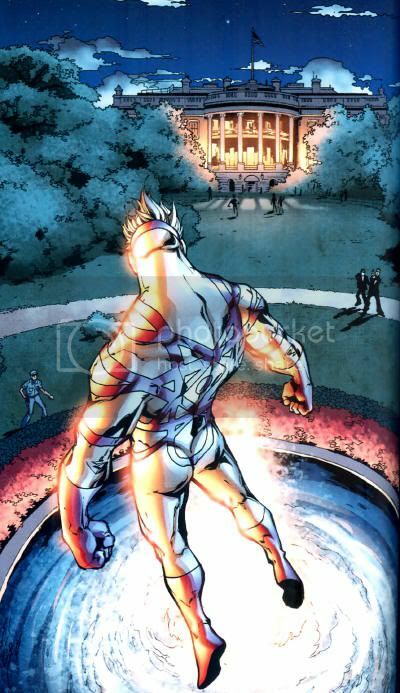 We know this because Warblade stood there and explained how boss he was while Captain Atom was down, before getting hit by a geyser of energy for being slow. Katana Zealot deflected more of that energy with her katana oh right katana, which could "shave the rough edges off an electron." See, the writer remembered electrons from grade school science, and thought referencing them in a nonsensical context would make him sound mind-bending like Grant Morrison, instead of mind-thwarting like Sarah Palin quotes. The only way I could mock this more is if Captain Atom hadn't actually fought a samurai with an X-Ionizer katana that cut his shell open back in 1987. However, that guy took two issues to deal with, not three credibility-straining pages of Zealot running around in a bathing suit. Superman had a terrifying vision of Lex Luthor initiating aggression again the nation of Qurac, as a parallel to our own President Bush’s invasion of Iraq. 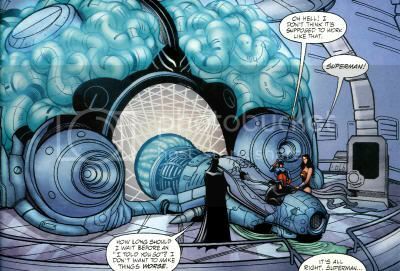 The whole thing was generated in Superman’s mind by the Martian Manhunter’s “Transconsciousness Articulator” device, something like a telepathic virtual reality generator. The Atom had a two panel cameo, where Superman spazzed out and wrecked part of the machine. Presumably, the Atom and/or Batman were working the device, or at least watching over Kal-El. They really needed a telepath though, which is why things went awry. Wonder Woman was also present, and you can get a more detailed account of her involvement at the Diana Prince Blog. I've been kind of peeved at Google lately. A recent update screwed up my March Madness polls, my scheduled posts keep resetting to unpublished drafts, and even the words I type right now are the result of some coding snafu destroying my first draft of this paragraph. I'm going to go study this weekend, and offer this post recapping holiday shenanigans that never came up on my own Google Reader. The Irredeemable Shag is usually the ringleader of these April Fool's goofs, and first suggested a 2011 edition in January. His mailing list then promptly forgot all about it, Shag included, or bowed out early. Out of the blue on March 19th, Boosterrific announced that he was going ahead with the plan, and several of us ostriches pulled our heads out of the sand and went, "Oh? Well, okay, I think I'll join you." The premise this year was to convert your entire blog into something different, devoting it to some obscure property that you have an affection for. Shag of course went the most gloriously nuts by converting Firestorm Fan into B'wana Beast's Blog, dedicated to the curious prevalence of a virtual nonentity for forty years into an enduring cartoon guest star (Justice League Unlimited, Batman: The Brave and the Bold.) Shag created ten entirely new posts, including Why a B’wana Beast Blog?, B’wana Beast in Who’s Who 1985, B’wana Beast gets animated!, Best B’wana Beast Covers of All Time, B’wana Beast Action Figures, POLL: B’wana Beast or Freedom Beast?, B’wana Beast Cosplay at DragonCon 2010*, B’wana Beast Temporary Tattoo, Napoleon Dynamite’s Liger – B’wana Beast’s Greatest Achievement? and my personal favorite, the fan fictional B’wana Beast and Beta Ray Bill – Marvel vs DC Amalgam. Boosterrific was the one bringing this back, so he sure as heck brought it, with Red Star Fire, the most famous Communist at DC Comics replacing the capitalist running dog Booster Gold. I adore old Soviet bloc propaganda imagery, so the design of the blog alone had me drooling. I don't know how long it will be up at 100%, but it should be accessible through the weekend. If not, the direct link to the permanent content is here.I very much approved of his offering the people a weekly poll to explain what their correct opinion should be, as it was pre-rigged. Kelson's Speed Force briefly turned Cobalt Blue over: Cobalt Blue, Classic Rogue?, The Flash vs…Barry Allen? The Bronze-Age Origin of Cobalt Blue, “Seeing” Blue: TV’s Cobalt Blue Prototype, Flash Facts: Cobalt Blue, Cobalt Blue T-Shirt Available Exclusively At VA Comicon, Who Is Hot Pursuit, REALLY? Liquidcross briefly lost the reins to the Indigo Tribe blog to Flash rogue Roscoe Dillon, who tried to prove Nobody Tops the Top. That is, until he found himself Dead and loving it. Always handy as a bulking agent, I converted five of my own blogs, like Diana Prince as the New Wonder Woman into Wundercar Valkyrie!, dedicated to the Nazi aviation from '40s Hillman, '80s Eclipse, and '00s Moonstone comics. That one was mostly pin-ups and pieces from aborted coverage of one of her mini-series. 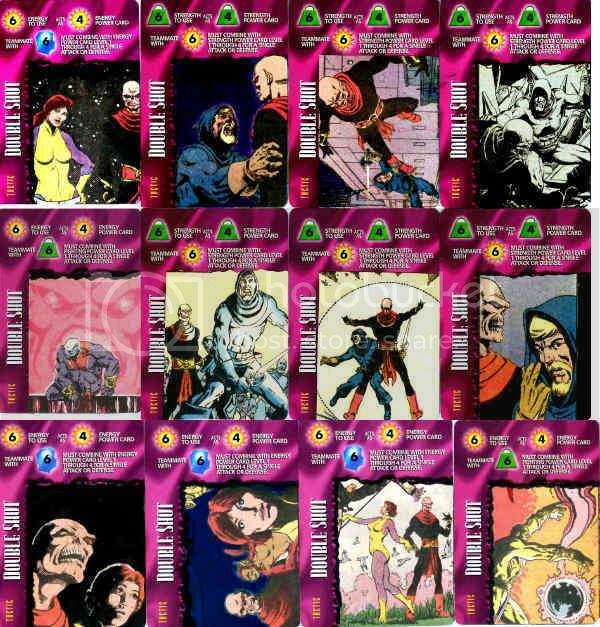 DC Bloodlines became Marshal Law's San Futuro Police Blog, revolving around synopsizes of the very mature and anti-superhero first six issue mini-series, plus a few extras. It's actually relevant, since DC (of all places) will be reissuing the series. 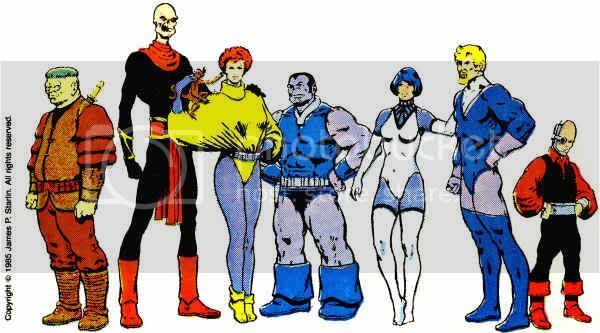 Power of the Atom was given over to Dreadstar & Company, a childhood favorite creator owned science fantasy series by Jim Starlin. That one was stocked with remembrances, pin-ups, and crudely glued together custom Overpower cards from when I was younger and even more poor. I had already planned a fan fiction 1995 Manhunter from Mars Annual #12 and some new icons for the sidebar, but The Aviary of the Osprey kind of laid an egg in terms of raw material in replacing The Idol-Head of Diabolu. I was running on fumes by the time Vibe's Beat Street Blog spun off from Justice League Detroit. That one was cobbled together, like many of the other blogs, from old crap on my ...nurgh... blog from when I did more there than comic book and movie review. Since I already cover Vibe's stories there, that one descended into music videos, pop-lock educationals, and a look back at 1983's D.C. Cab. Apologies for scrapping the bottle of the barrel on that. Greetings from the Empirical Galaxy! Vibe! Vixen! Gypsy! Steel! Zatanna! Men Aquatic, Elongated & Batty! Figuring the Amazing Amazon out one "Bold New Direction" at a time. The Web's Number One Website of Booster Gold, the Corporate Crusader! In 1983 or so, my uncle bestowed upon me much of his collection of late '60s through mid-70s Strange Tales and Doctor Strange comics. Jim Starlin's Warlock got started in the former, and I had a few issues of the spin-off title and Captain Marvel. It's safe to say Jim Starlin was my first favorite writer/artist, so when a new series by him landed on the small comic rack at my local 7-11, I pounced on it. "New" is a dubious application here. DC was experimenting with a format where they would relaunch top titles like The New Teen Titans as direct market only with deluxe printing, then reprint the material cheap for the newsstands a year later. Marvel had pioneered taking mediocre selling books direct only, and offered the anthology Marvel Fanfare on cover stock to comic shops, but neither could be reworked into mainstream fare. Instead, Marvel took Jim Starlin's bimonthly, Mando format creator owned Epic series Dreadstar, along with Elfquest and Groo the Wanderer, and revisited it as a cheap monthly under the Marvel banner. Dreadstar was basically Star Wars as processed through the anti-Catholic, Kurtzman loving, cosmically attuned mindset Starlin had popularized in the '70s. To some degree, it was also the sober and more commercial version of the under-appreciated shambolic schizo-junkie-iconoclast paranoid fantasy masterpiece Warlock (along with Starlin's hazy output of the time at Warren and elsewhere.) Greatly benefiting from ignorance of the wealth of related material like The Metamorphosis Odyssey, The Price, and the original Dreadstar graphic novel, Dreadstar And Company opened with a nine page recap that to the uninitiated seemed like a sweeping prologue. A centuries old war between the Monarchy and the idealogues of the Instrumentality had left enough causalities in its wake to inspire a small revolutionary force of such character and ability that they could potentially challenge both intergalactic empires. 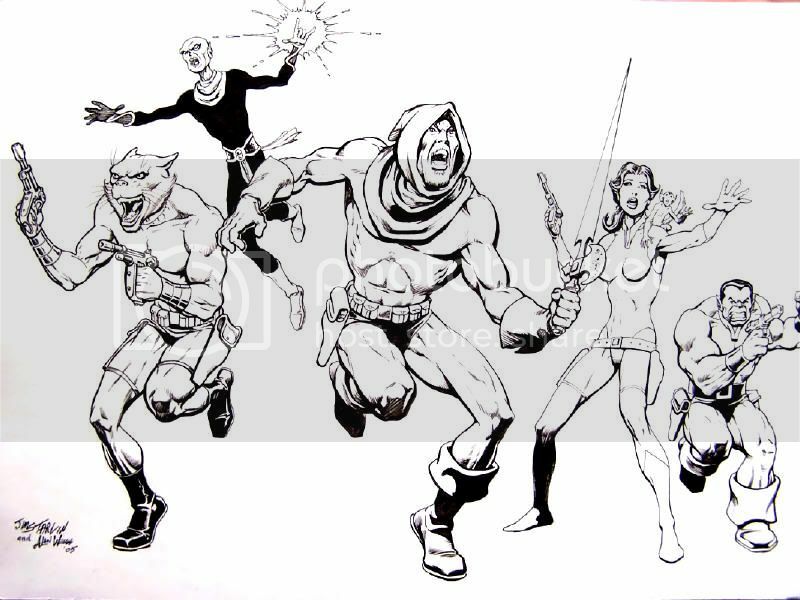 Led by the mysterious Vanth Dreadstar, the band consisted of a wizard, a cat man, and the token female. Vanth was a young Obi-Wan with the grit and some of the fashion sense of Han, as well as his own variation of a lightsaber. Syzygy Darklock was his alien Merlin, looking like Jonah Hex by way of J'Onn J'Onzz. Willow was Jean Grey, and Oedi was the wise and serene feline, except when the claws came out. The art was among the best of the period, especially as of its initial 1982 release, and Starlin's scripts read much more naturally than his earlier heavy melodramas. The story that followed the recap was perfunctory, introducing characters and their powers through a plot constructed to serve that purpose. Today it reads like a fun diversion of an action piece, but as a kid it was the best thing since ever. The series would improve greatly on that starting point, from Willow's sad story of childhood abuse to the nuclear horrors of Chichano to the political intrigue of the Hand of Darkness. The final two issues were comparatively lightweight, and diluted somewhat by the use of inkers. I was so impatient between issues that I was constantly concerned I must have missed one, because it always seemed to take a whole season for a new issue to come out. I was fairly crushed to learn the experiment would end with the sixth issue, possibly related to the breakdown in Starlin's relationship with Marvel that saw him move the comic to First Publishing. In retrospect, Dreadstar And Company was cheesy, but it still had more heart and dazzle than much of what was on the stands at the time. The first twelve issues hold up very well, as evidenced by Dynamite's lovely reproduction of that run in hardcover a few years back. It looks worlds better than the substandard reprints I grew up on, although new (sometimes better) covers did come of the enterprise, and I wouldn't have the same enduring love without them. Here's an outstanding piece of the entire team! Oedi! Syzygy Darklock! 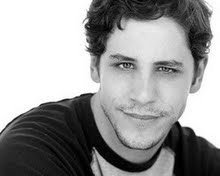 Vanth! Willow! Skeevo! I love these guys, and Weiss is an awesome inker here! I've already discussed my custom (and extra cheaply) made Dreadstar & Willow Chararacter and Tactic Double Shot Cards. I managed to progress further into the company with the sorcerer Syzygy Darklock, giving him enough cards to be playable. His 7 in Energy seemed appropriate, though debatable, since the guy often petered out in combat. That was partially due to that 2 in Fighting, because the guy was routinely sucker punched by lesser powers and taken out of combat entirely. The 5 in Strength covers his cybernetic prosthesis, and the 7 in Intellect is again debatable (though a 6 seems like his minimum.) The Mystic Order of Vieltoor refers to where Syzygy turned from a mystic to the deformed powerhouse he would become. 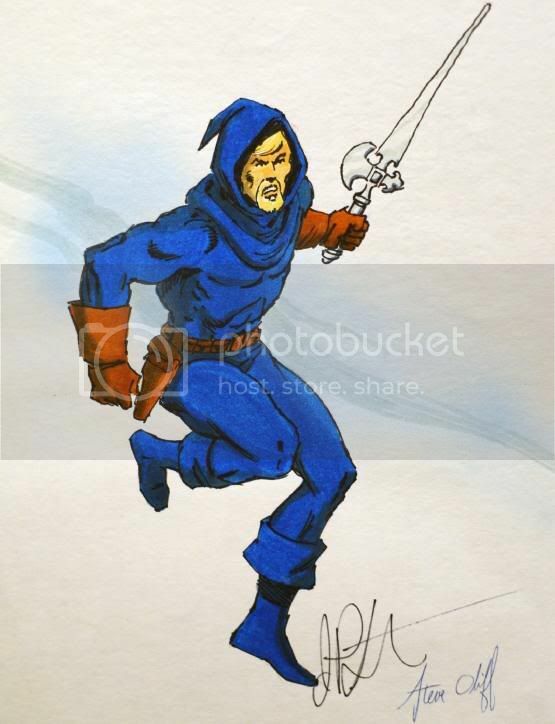 I wasn't willing to cut up my copy of "The Price," and its painted art wouldn't have worked here anyway, so I instead turned Vanth Dreadstar into the human Darklock with pens and markers. I are poor, yes? Sister Marion was of course the nun Darklock he loved at the Order, or alternately, Willow in a marked-on habit, taken from an old Dreadstar and Company reprint. Readers may recall that Sister Marion was part of the Price Syzygy paid for his power, along with most of his physical form. The card reflects this, as well as Darklock's regeneration. The art is of a victim of the nuclear holocaust directed by the High Lord Papel in Dreadstar #3. Syzygy defended himself and Vanth from this assault with a Sphere of Protection, used commonly enough to warrant as an Avoid. Here's a swell pin-up of my favorite incarnation of Dreadstar, a pencil drawing by his creator at 8" x 10". The piece was colored by Steve Oliff in 1990. Coming bi-monthly issues of DREADSTAR will see the addition of three surprising new allies for Vanth Dreadstar. Surprising has to be the word when two of them are his enemies Dr. Mezlo and Ultra Violet! The pair is joined by the enigmatic Omni, and what all this will mean for the rest of Dreadstar's crew is anyone's guess... but particularly that of Jim Starlin, who continues to chronicle their exploits with the help of inker Sam De La Rosa. And the DREADSTAR AND COMPANY title will continue apace, reprinting the earlier installments of the series in a format available at newsdealers everywhere. I was introduced to this series through the newsstand reprints, which sadly only lasted six issues. I swear I've never in my life felt the wait between issues of a comic like I did when following Dreadstar & Co., and I howled when I read the cancellation notice in the last issue. Considering it was selling better than half as many copies as the new issues (through Capitol City anyway,) I wonder if the series' wrapping had more to do with Starlin's moving the property from Epic to First Comics midway through Company's run. Then again, did any of the Epic newsstand editions fare well? Elfquest, even? Anyway, check out the new characters and costumes! I don't recall Willow ever wearing that very '80s top, though her hair went that direction after Starlin stopped drawing the book. I think Vanth's suit was worn for the rest of the issues Starlin wrote, during his war criminal hunting days, but it looked quite different when drawn by Luke McDonnell. I don't recall what became of the late additions (didn't UV take her own life?) I never liked that bunch, as they seemed to switch sides as a plot device more than a natural development. Starlin was sick of drawing comics by that point, so I figure he was just rushing his magnum opus to a conclusion so he could dump the chore. I'd guesstimate the book was only selling about 20K by that point anyway, so he may have just needed work-for-hire funds. Just as I was sick of having to play with Marvel characters to make my Overpower decks work, I was also tired of their ugly, poorly rendered Tactic cards. I figured while I was busy cutting up old Dreadstar comics, I might as well use leftover panels to improve my view with Jim Starlin artwork. Team-ups mostly centered on Vanth & Syzygy or Darklock & Willow, though the High Lord Papel and his god turned up twice. Over at my Martian Manhunter blog, I've been pulling out all of my old Overpower Collectible Card Game stuff, to explain the basics of a pastime I wasted way too much money on. Since I wasn't happy with the character selection, toward the end of my involvement, I decided to try my hand at making some of my own. Lacking a computer or real money to speak of, this was accomplished by cutting up old Dreadstar comics and pasting them onto cards. I've loved Jim Starlin's Star Wars rip-off since I was a wee lad, so those characters were an obvious choice to play with. 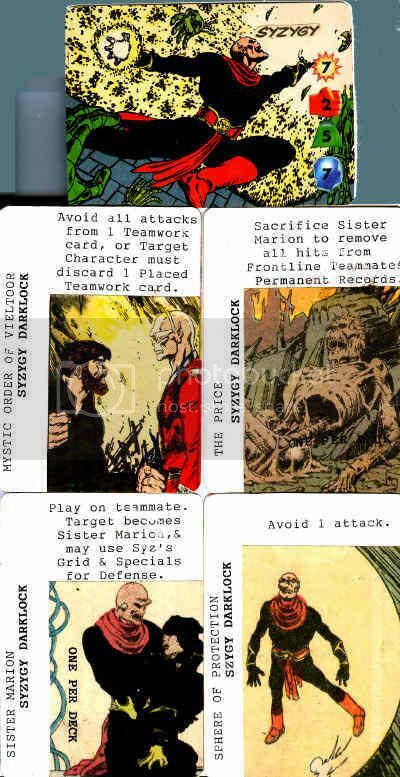 The first card is intended to be Vanth Dreadstar as he appeared in the Metamorphosis Odyssey and the first dozen comics in his own series. Overpower rated powers on a scale of 1-8, so his middling Energy of 4 was meant to cover ray guns and projections from his sword. 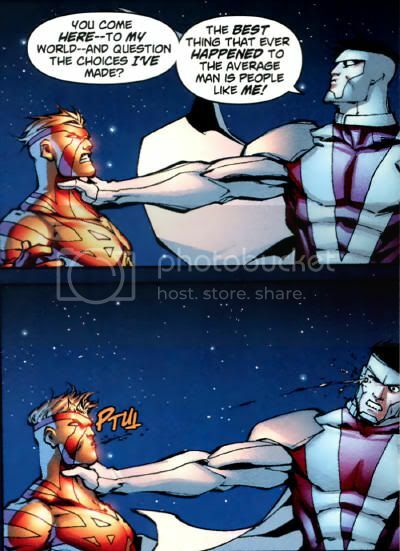 A 6 in Fighting was pretty respectable, comperable to the better fighters in comics. His 6 in Strength is about right, I figure, along the lines of a juiced-up Bane, Beast and Sabretooth. Being a solid planner, a 5 in Intellect placed him with bright combatants like Shang Chi and specialists like Blue Beetle. All those mid-high Rankings would help with Spectrum KOs, but his 21-point total would keep him as either the front man of a low point team or background amongst heavy hitters. Seemed about right. I never got around to assigning Willow a Power Grid, as I was trying to use her to help design a team around Dreadstar and Company that never materialized. I also meant to give her an Inherent Ability, as the image I cut out of her was light enough to type on directly. Low rent, right? 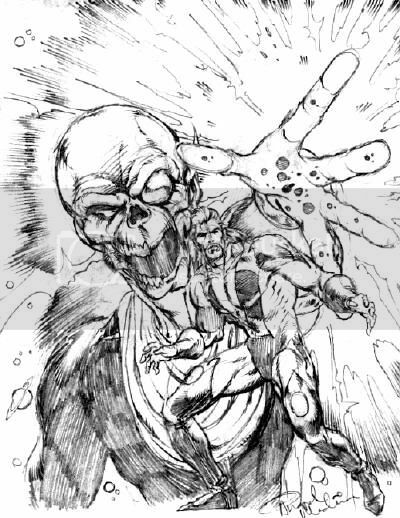 The second Dreadstar(s) was meant to reflect the version of the character that finished out the Instrumentality war, basically a poor man's Captain Mar-Vell. Because Vanth had internalized his sword's power, and I though the team could use a high baller, he now had a 7 in Energy. That was probably too high, but Overpower was never overly concerned with accuracy, so there was play room there in favor of gameplay. Since Vanth got away from hand-to-hand combat, I dropped his Fighting to a 4. His Strength remained the same, and his Intellect dropped a point, as his plans became increasingly lackluster.